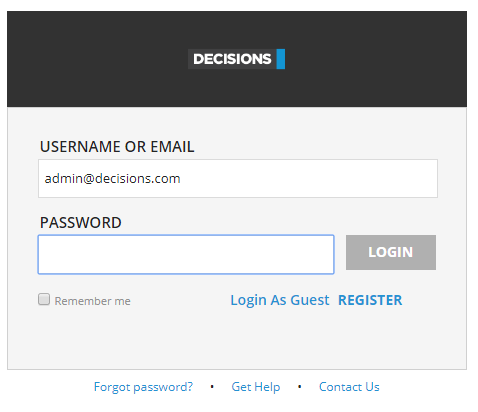 The login form provides an area for the user name and password, but it also has buttons for selecting help and to see contact information for the organization. To set up the Get Help and Contact Us URLs on the login form, navigate to System >Settings	. 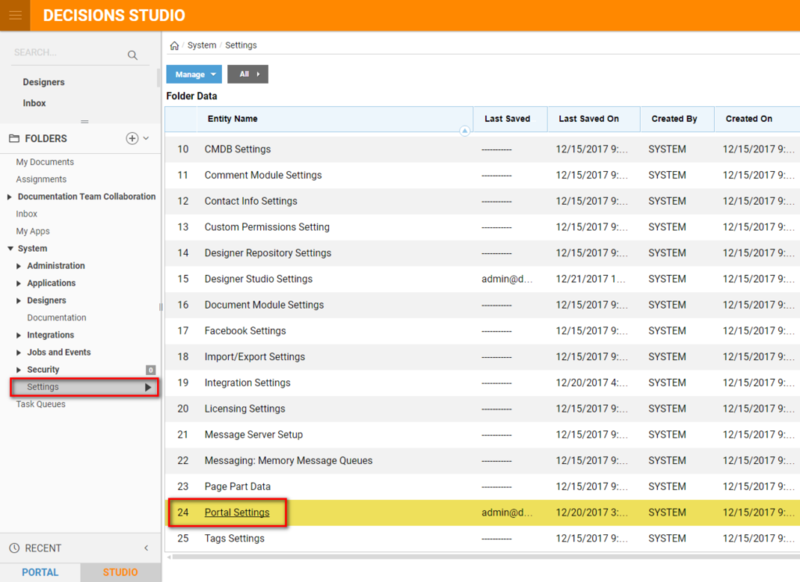 From the Folder Entity	list, select Portal Settings	. 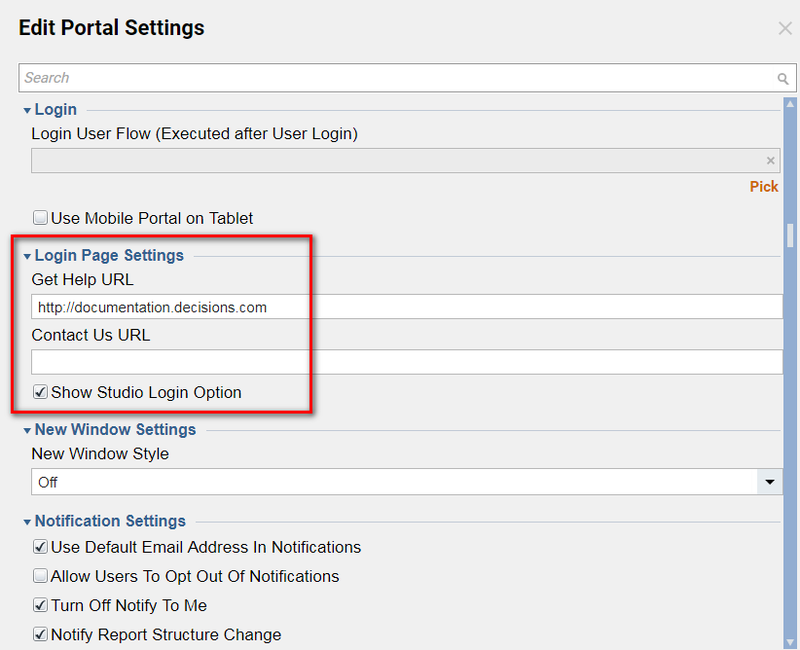 Under Login Page Settings	, enter the desired URLs in the Get Help URL	and Contact Us URL	fields and click OK.